Forest fires, coal use, and other activities emit mercury. Wetland microbes turn it into a neurotoxin. In freshwater wetlands of the Great Lakes region, a team showed the influence of wetland vegetation in regulating mercury toxicity. They also showed that enhanced production of toxic mercury in certain vegetated areas is associated with three factors: (1) degradation of dissolved organic matter, which comes from decomposing plants and other sources, (2) a shift in the microbial community toward fermentative microbes (like those used in bread making), and (3) changes in the microbiome structure toward Clostridia species. Mercury in wetlands becomes toxic methylmercury due to a primarily microbial process known as mercury methylation. Historically, fermenting microbes weren't thought to influence this process. This study shows they do along with other factors. The findings offer insight into conditions that lead to toxic methylmercury production. Such insights could help improve monitoring for mercury contamination in estuaries (where the tide meets stream) in the Great Lakes. 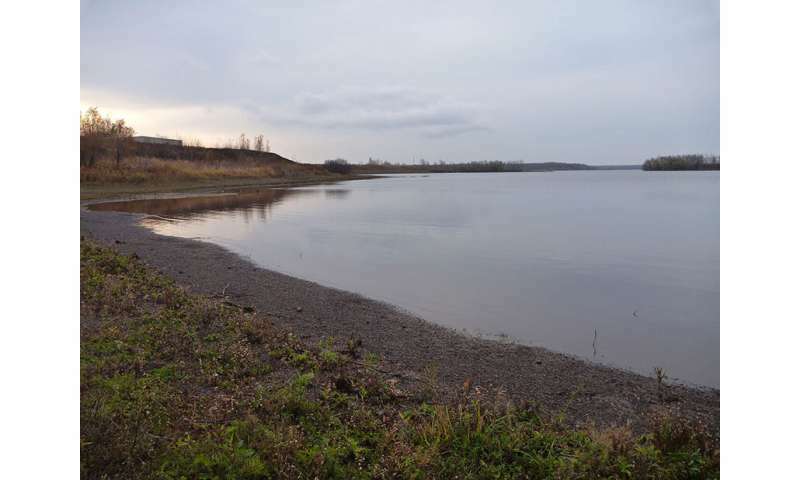 In this study, the team used anoxic microcosms with sediments from nearshore areas of Lake Superior's St. Louis River Estuary. The sediments contain a legacy of mercury contamination from shipping and industry. The team's research revealed a greater relative capacity for mercury methylation in vegetated sediments compared to non-vegetated ones. However, they also showed that mercury cycling in nutrient-poor non-vegetated sediments is susceptible to dissolved organic matter inputs in the form of plant leachate. Dissolved organic matter regulates methylmercury production because its chemical interactions change the bioavailability of mercury and support the growth of specific types of microbial communities. With leachate added, these non-vegetated microcosms produced substantially more methylmercury than un-amended microcosms. Also, these microcosms showed a marked increase in species of bacterial Clostridia. Clostridia have the genetic potential to methylate mercury but have not been considered among the primary microbes responsible for mercury toxicity. These microbes ferment recalcitrant organic matter. In addition to their increased abundance, an analysis of their metabolism suggested an increase in fermentation related to methylmercury production. Metagenomic analysis supported both an increase in Clostridia and fermentation.